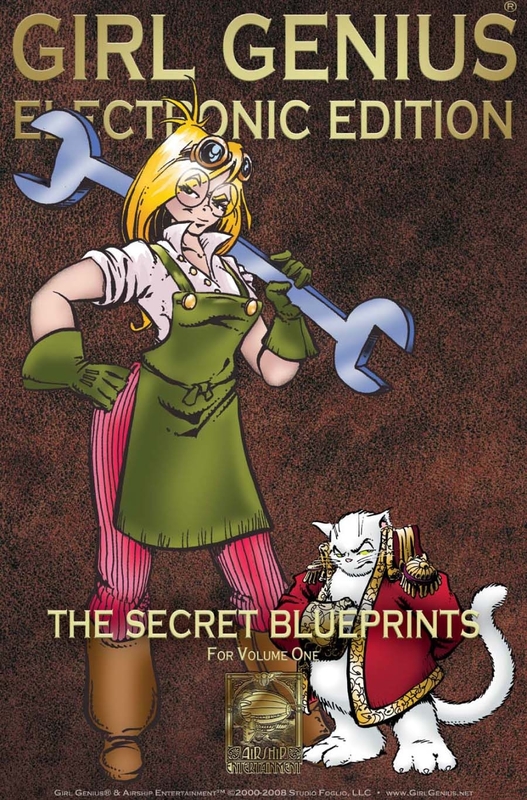 This teaser volume was released just before the debut of Phil and Kaja Foglio’s critically acclaimed story: Girl Genius. It includes lots of background details and character illustrations, with entries on: the World of Girl Genius, Agatha, the Clays, Dr. Beetle, Merlot, Glassvitch, Klaus, Gil, Boris, the Jägers, clanks, Castle Wulfenbach, VonPInn, Wooster, Krosp, Othar, Bang and von Zinzer. It also includes brief historical notes and a glossary. This comic also includes the Girl Genius code wheel, which can be downloaded free for high-resolution printing at girlgeniusonline.com. This title was added to our catalog on October 14, 2008.